Union County, NJ — Union County residents seeking information about services available for senior adults age 60 and older will have a choice of eight dates and locations in January 2019 to speak with staff from the county’s Department of Human Services Division on Aging through ASK, the Aging Services Kiosk community outreach program. Staff will be present at public libraries in Elizabeth, Cranford, Clark, Garwood, Mountainside, Rahway, Summit, and Union. The Rahway session will have bi-lingual (Spanish speaking) staff on hand. Through the ASK program, staff from the Union County Division on Aging and Disability Resource Connection have been traveling throughout Union County providing information about home delivered meals, respite care, home care, adult day care and other support services for seniors, family members and caregivers. Assistance with completing applications and forms is also provided. The goal of the Union County Division on Aging and Disability Resource Connection is to promote wellness, independence, dignity and choice for seniors and their families. It is one of 670 “Area Agencies on Aging” nationwide established under the federal Older Americans Act. The division has information printed in both English and Spanish. 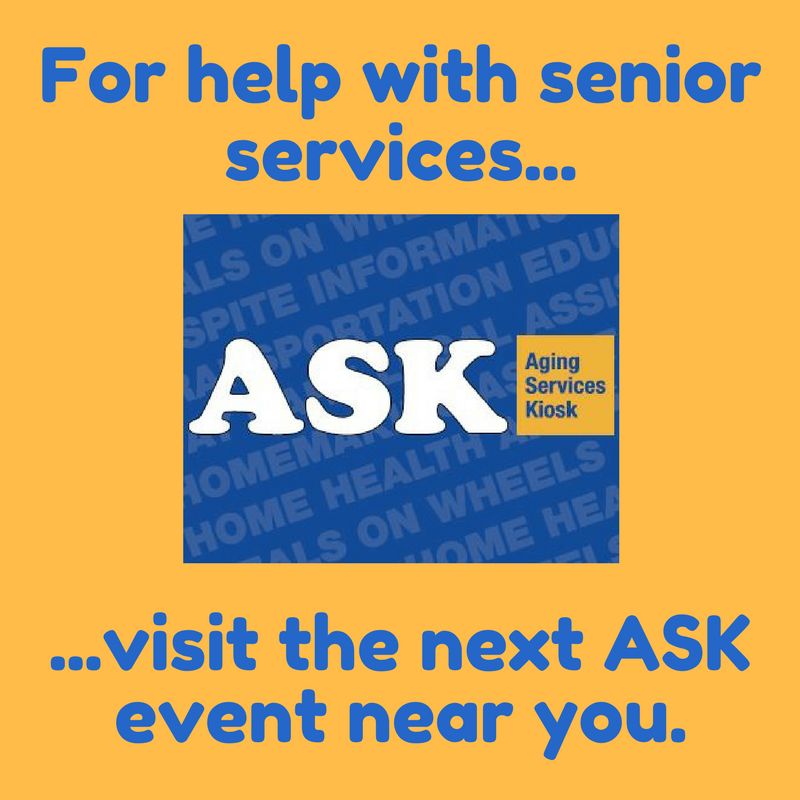 Check for the upcoming schedule of stops for an ASK kiosk coming near you as dates and locations are posted in local newspapers, the Senior News, Facebook, Twitter and the Union County website, ucnj.org. For further information about the Union County Division on Aging and Disability Resource Connection, call the division’s toll-free number: 888-280-8226 or 908-527- 4870 or 4858. Spanish speakers may call 908-527-4863. Information may be viewed on the Union County government website at ucnj.org.